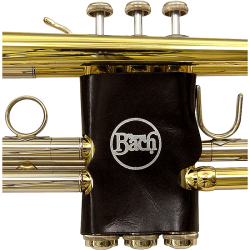 Leather Trumpet Valve Guard. Velcro attachment conveniently secures the valve guard to valve case. Fits all trumpets and cornets, including instruments with triggers. Black.